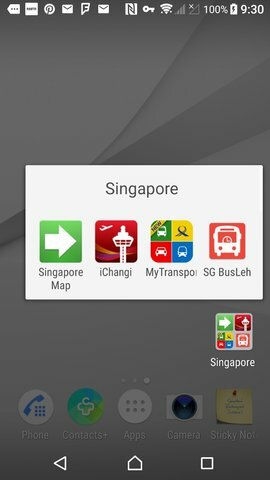 Singapore: Transportation suggestion and other tips ? Seniors, can you guide and suggest how we should use transportation from Airport to our hotel in Singapore ? What is suggested for going from one place to another on metro ? Should we buy a tourist pass as suggested by many sites ? We will be there during Puja break. It depends on how many you are, and where your hotel is. And a lot of luggage or not? Generally the metro works well for most travellers, but not all. I think a cab from the airport to your hotel would be best.. its not too expensive, and there are no hassles with moving luggage etc. It is a short distance to the city center. In contrast, when in Tokyo, I almost always take the Narita express, or a bus from Narita airport to a city center hotel( over 60 Kms). Once you are in the city, the metro is great.. Like any other place, a pass would be helpful if you plan to enter and exit the subway multiple times in a day. But if you plan to use the metro sparingly, and use cabs for some destinations, buying a ticket each time would be better. Don't tip the cabbies. Its not customary, wow.. Listen to announcements in Tamil at the metro stations. Singapore has the best public transportation system I have experienced anywhere. Better than Switzerland and much cheaper to boot! Neither country has an automobile industry so no car lobbies. I have no idea what flight, or where you are staying in Singapore. So I will just hazzard a guess - Most flights out of CCU to SIN (even via KUL/BKK) will land you during daylight hours. Many brick-n-mortar indian travel agents book desis near about Little India, or; Geylang or Arab Area (popular with BD tourists). Taxis at that hour will cost you about S$35-40 max. If you are traveling light, and all the people in your group are walking-fit, then take the MRT/SMRT. Buy a SmartCard from one of the many Tourist Assistance kiosks outside customs (in Terminal 2, Terminal 1 & 3). I forget how much the initial card costed. My card, bought from a 7-11 store, has 7 year validity, some have longer. You can add value via many machines at MRTs. Intra neighborhood costs are about 70s/cents per ride. Thank you all sirs and madams. We stay in Sarengoon Road. We are five. Two seniors, and one 12 year old plus two us. Suggested we take metro and then taxi. Is one taxi taking five persons ? After consultation, we were suggested wait for taxivan. Our stay in Singapore was fantastic. We enjoy it more than our trips in Europe. If there is a special sale from Kolkata, definitely think of visiting again. It's a great place if you like that sort of thing... Which I do! My wife is not so keen. Glad you had a good time. It is so much closer than Europe too. Comfortable flying time. Neither country has an automobile industry so no car lobbies. Autonomous vehicle industry starting up in Sing..
Hmmm. Huge number of cars in Singapore, and a thriving trade as they have to be thrown away at ten years old. My relative is one of those in the business of exporting such "old" cars to countries where they are considered young. Are any of such said "old" cars in the Luxury range Nick ?